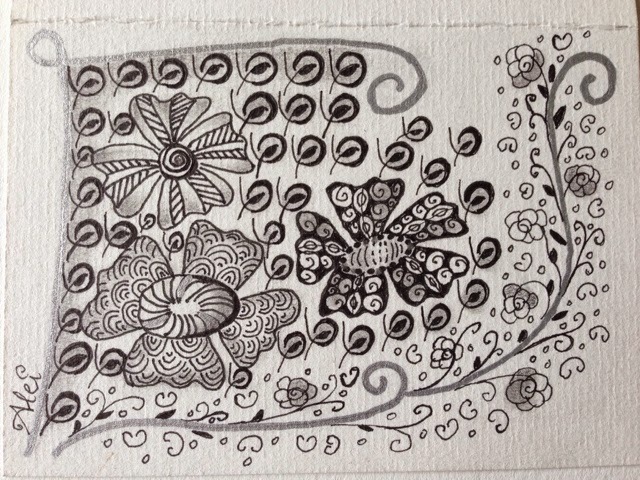 As I mentionned in my first item, with zentangle I started to look again to the world. And of a sudden, I saw patterns and strings to fill everywhere. Doors, floors, tissues, flowers, trees, paper etc. This pattern I found on a pot of jam at breakfeast time. 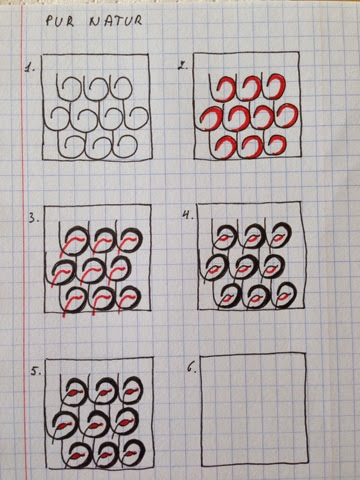 Very nice pattern, and I tried to make a tangle of it. I call it Pur Natur, as indicated on the jam. And I used it in a mini-tangle. I have to explore it later on in some other tangles. Later on that week we made a walk in the city, and set down on the market place in Mechelen to eat our ice cream. Time to look around and observe... 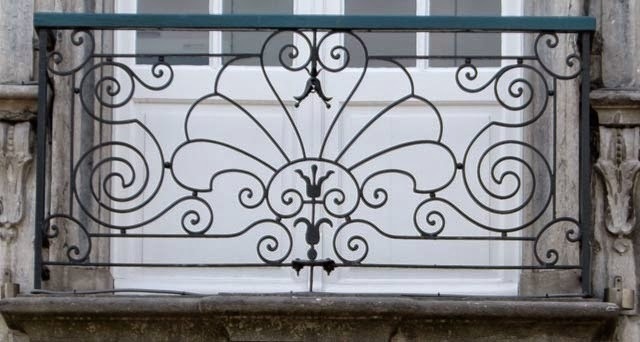 I saw a beautiful balcony in forgings on one of the old houses on the market place. 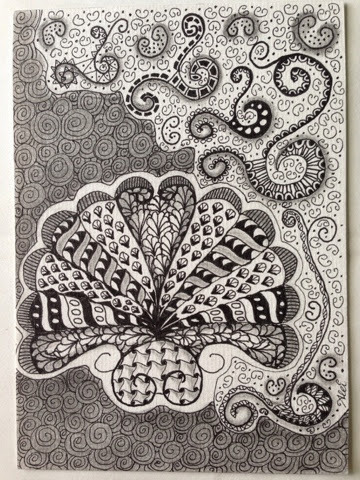 I made a scetch of it there, and once at home I immediately made a realy beautiful zentangle of it. Okay, this was what I would do in my free time !